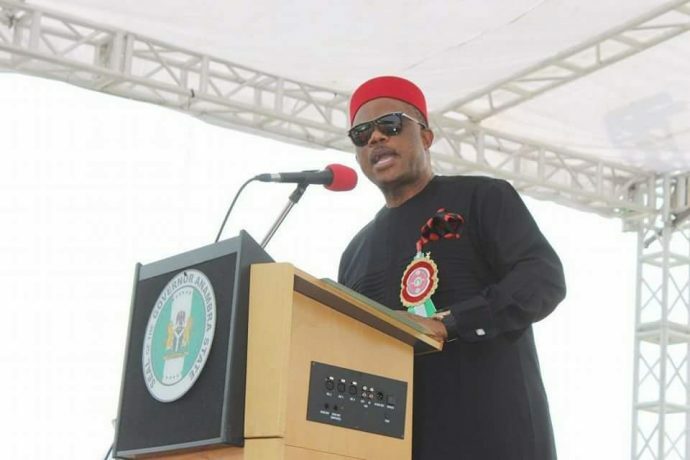 Obiano sacks 18 commissioners, other appointees – Royal Times of Nigeria. The Anambra State Governor, Willie Obiano, has sacked the 18 commissioners in his cabinet. Others fired were political appointees in ministries, departments and agencies. A letter signed by the Secretary to the State Government, Prof. Solo Chukwulobelu, ordered the affected officers to hand over to permanent secretaries of their respective ministries, departments and agencies or to the most senior civil servants in the absence of permanent secretaries. The memo directed the affected appointees to hand over any project/vehicles in their possession to the office of the Secretary to the State Government on or before Friday, 16th March, 2018. The memo read, ”His Excellency, Chief (Dr.) Willie Obiano, Governor of Anambra State, has directed that all political appointees and non-civil servants, heads of MDAs in the state submit their hand over notes/reports on or before Friday, 16th March, 2018 to the Permanent Secretary of their respective MDAs, or to the most senior civil servant there in the absence of a Permanent Secretary. “All SSAs/SAs are to submit their handover notes/reports to the Permanent Secretary, Office of the SSG. “A copy of the handover note/report must be submitted to the Secretary to the State Government on or before Friday, 16th March, 2018. “Further to the above, political appointees and non-civil servants, heads of MDAs and SSAs/SAs under reference, are to also hand over any government project/utility vehicles in their custody to the Permanent Secretary, Office of the Secretary to the State Government on or before Friday, 16th March 2018. The memo was copied to the office of the deputy governor, among others.